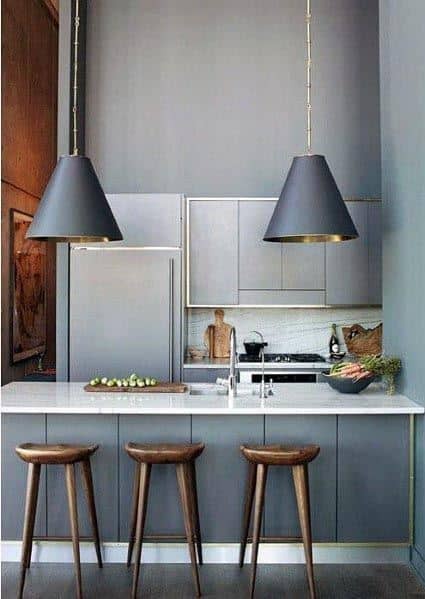 Contrary to its tired connotations, grey is anything but dull or dreary. 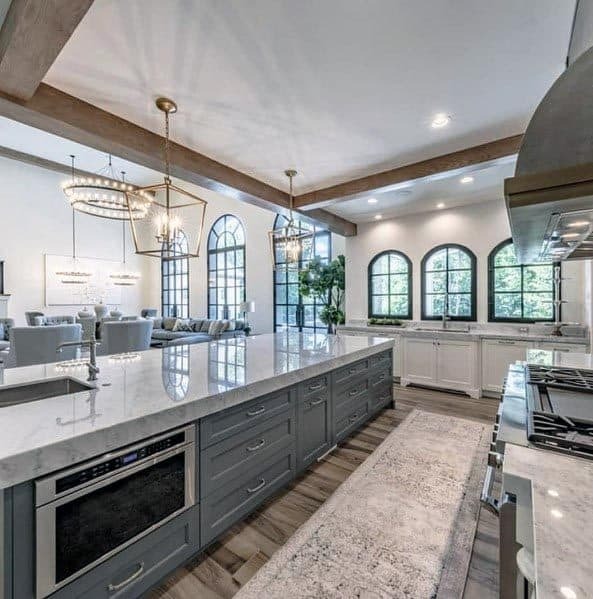 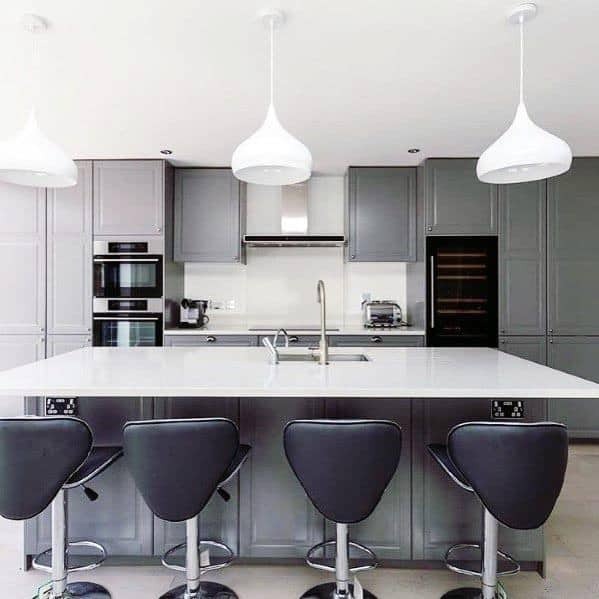 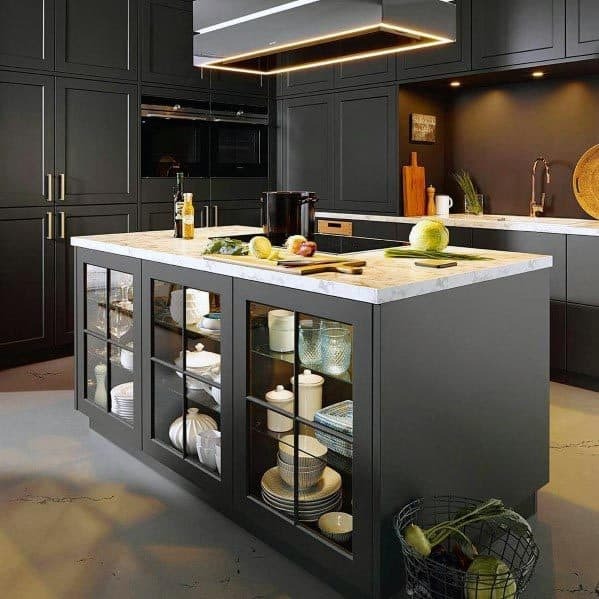 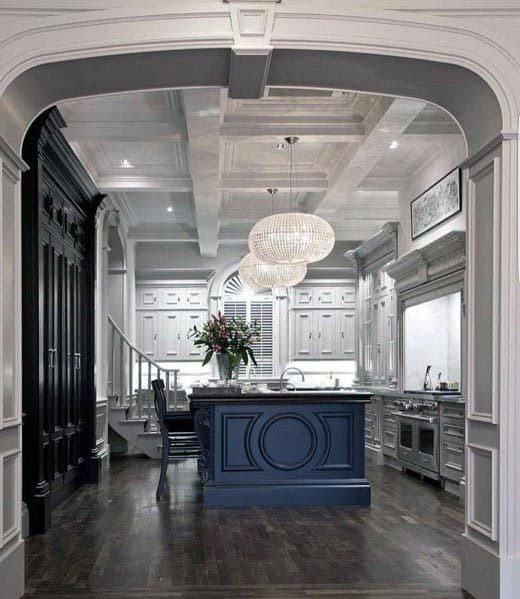 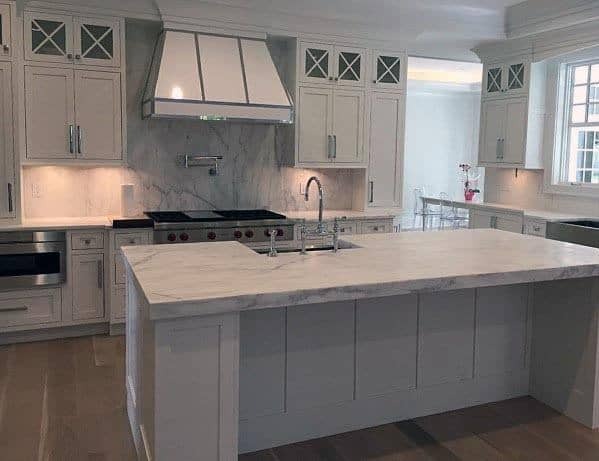 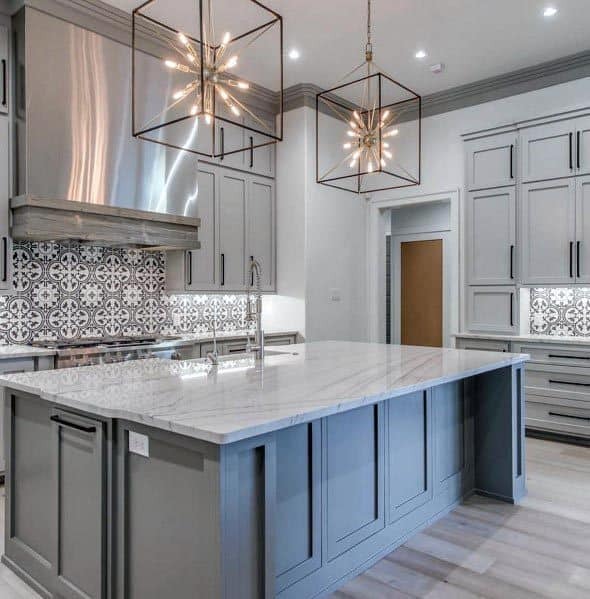 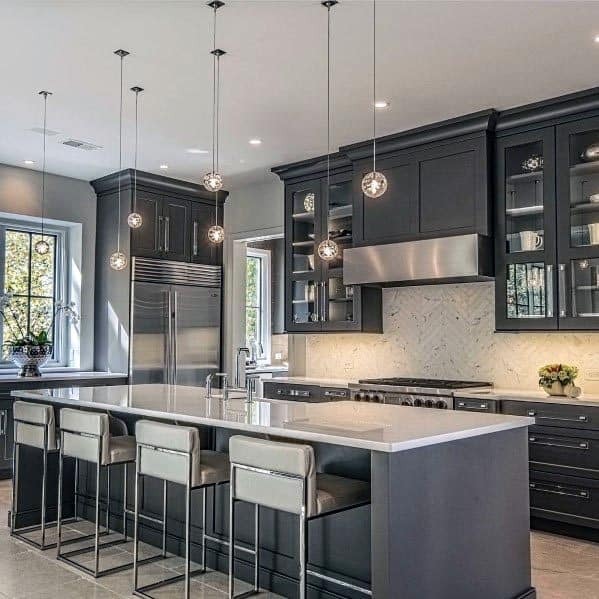 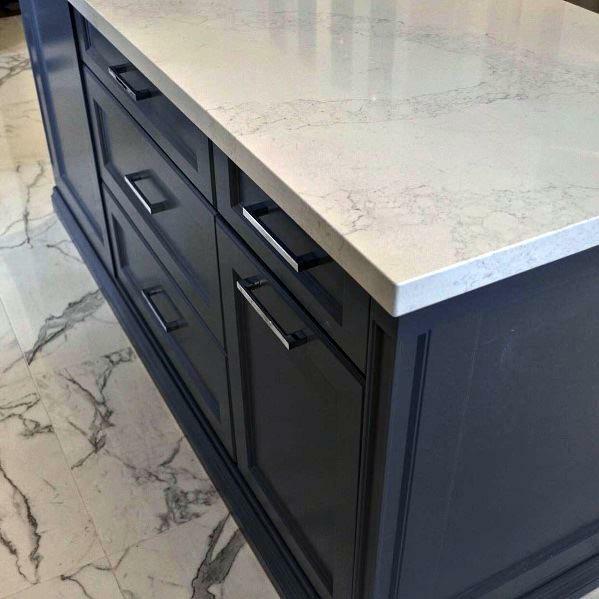 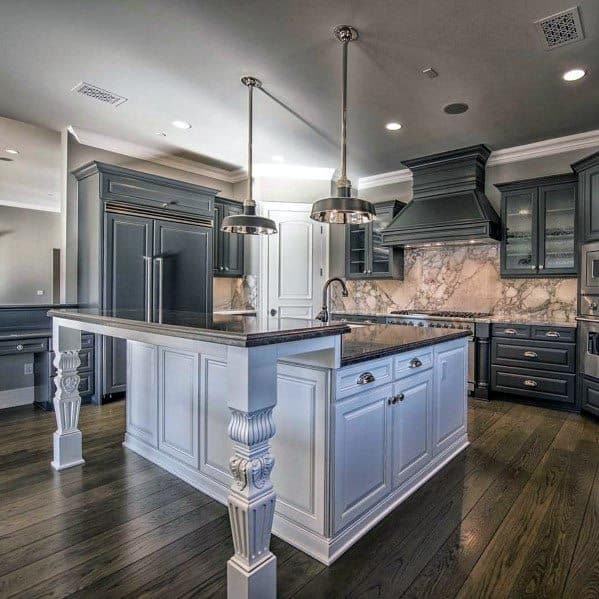 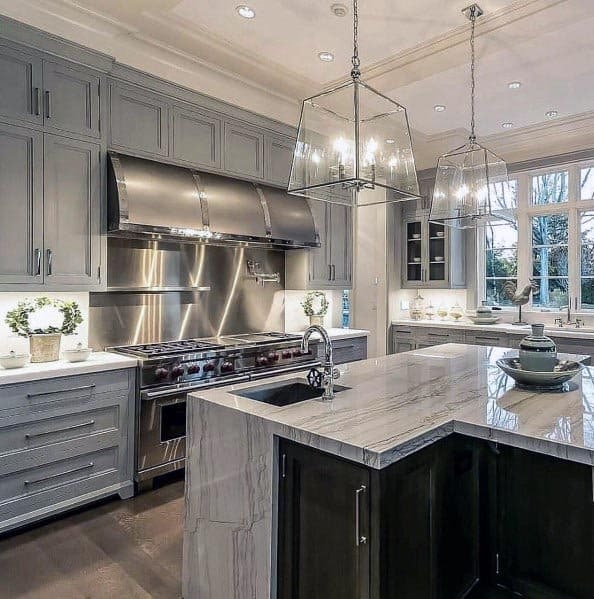 Take a peek into any celebrity’s slate-hued abode or 5 Star chef’s granite encasement and you’ll quickly find that grey is for those who blend the bold with the inarguably refined. 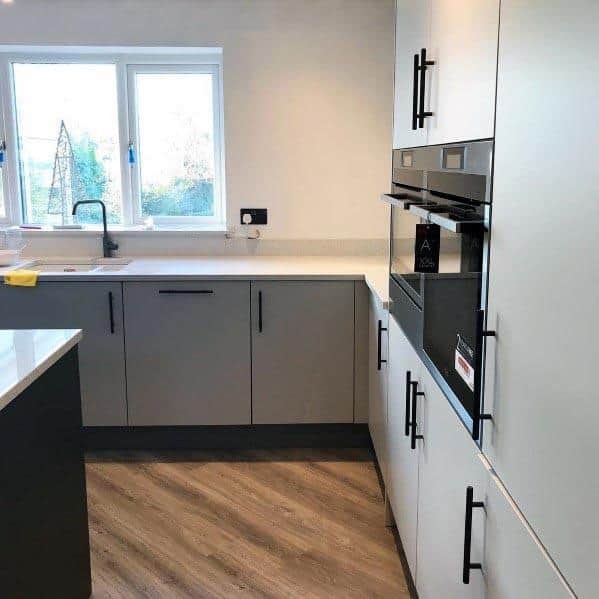 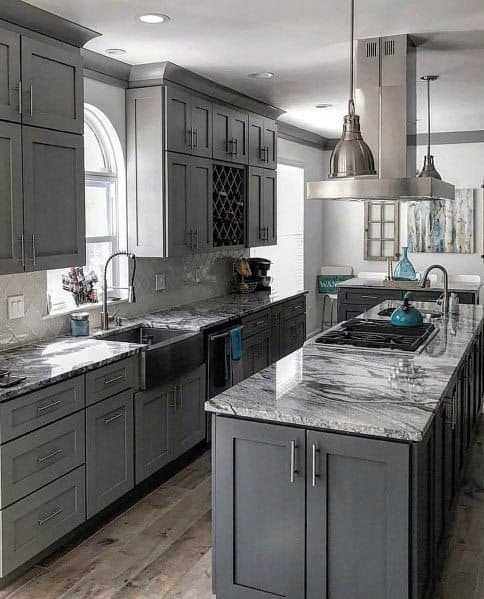 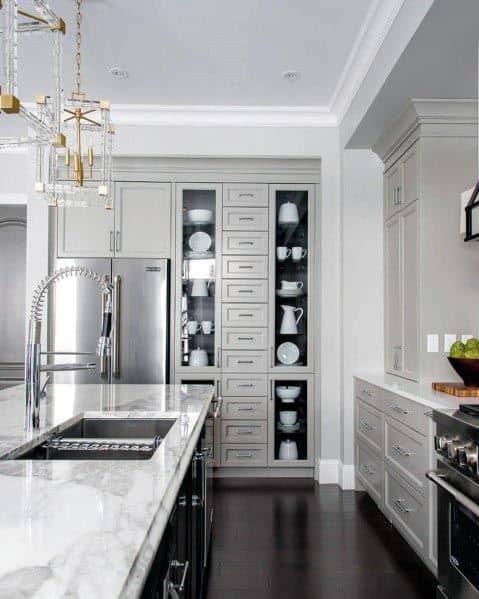 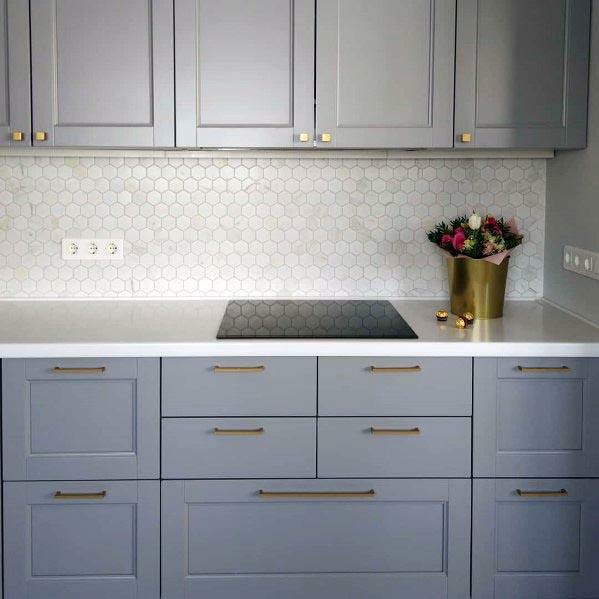 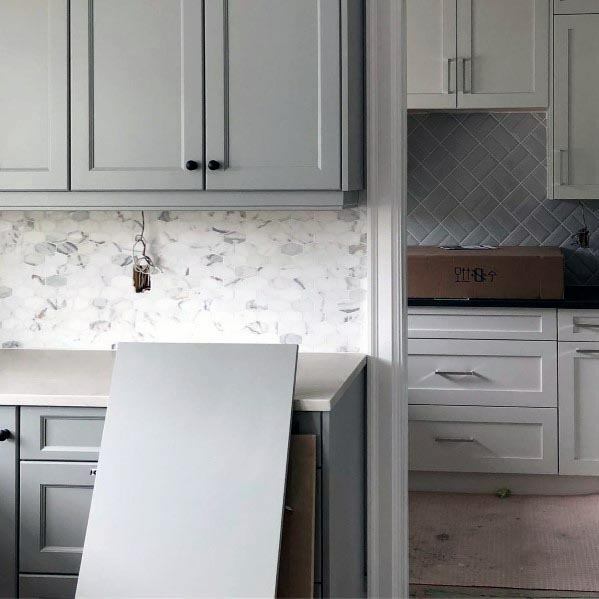 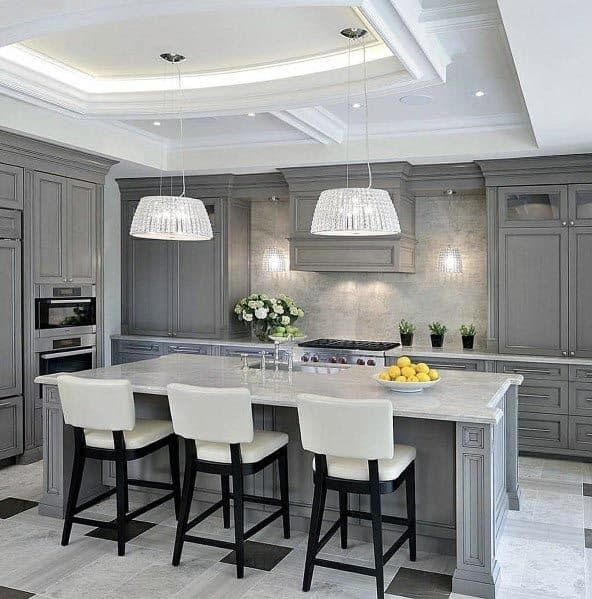 A grey kitchen not only elevates the most time-honored space in one’s home to new levels of sophistication, but does so without overwhelming the interior. 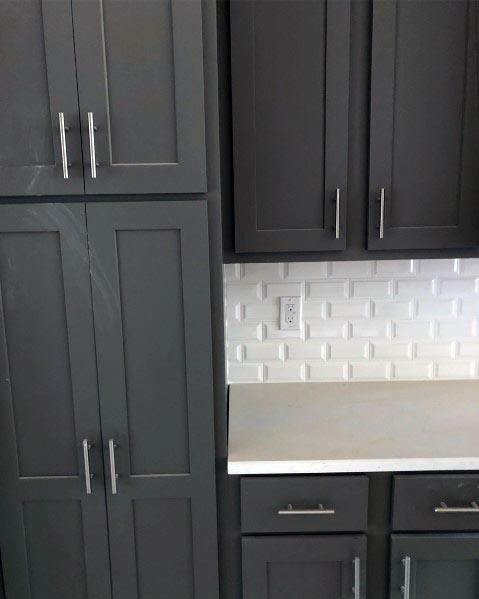 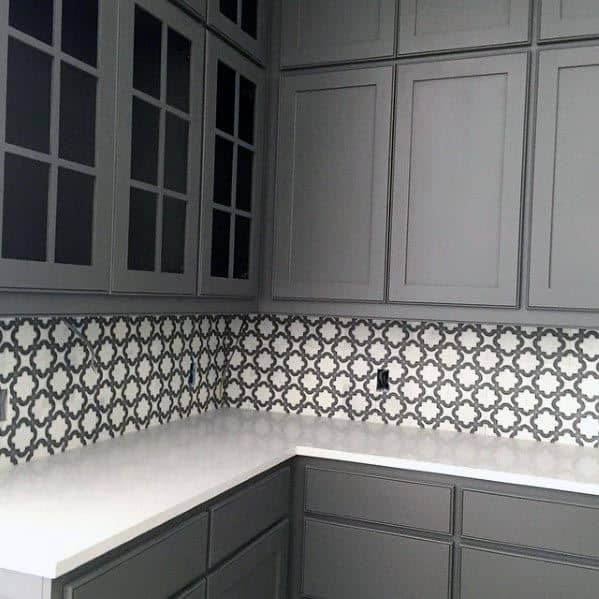 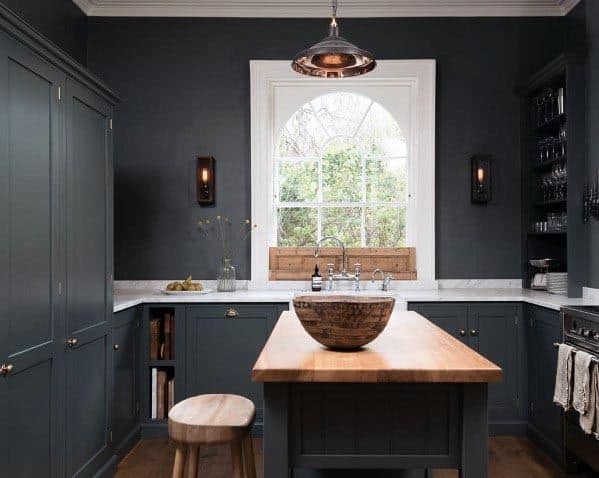 In short, grey cabinets and walls are for the gentleman whose charisma speaks for itself, who doesn’t need the unnecessary bells & whistles to announce his presence. 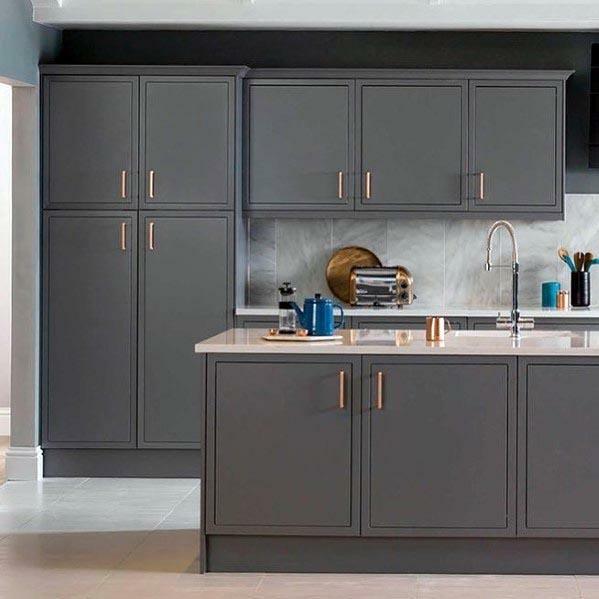 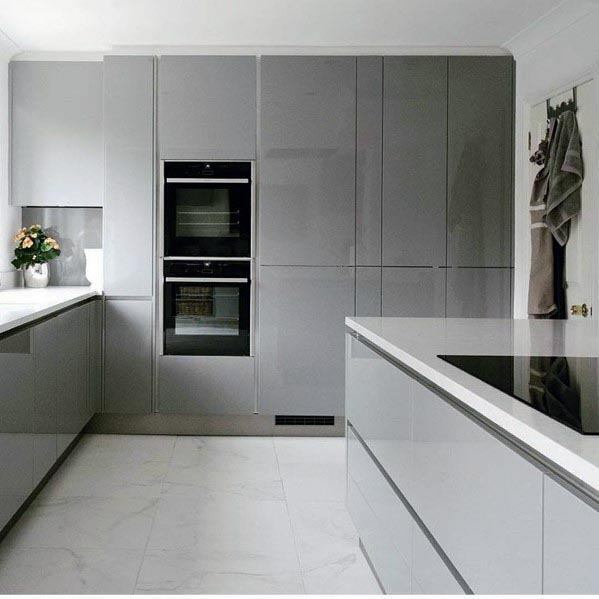 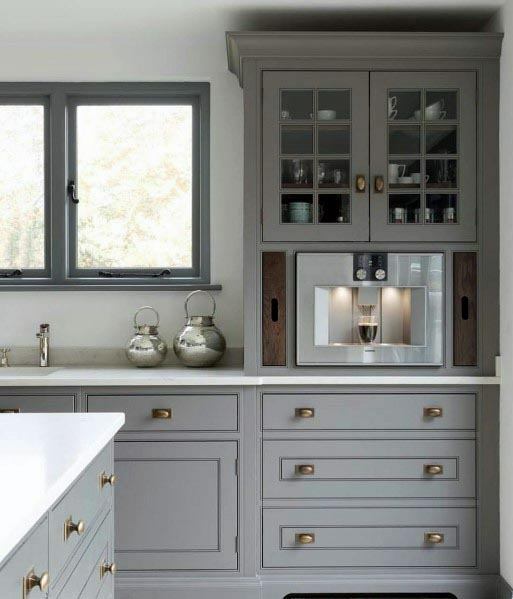 Today’s leading designers are lauding the grey kitchen’s fuss-free appeal and ability to compliment any interior scope. 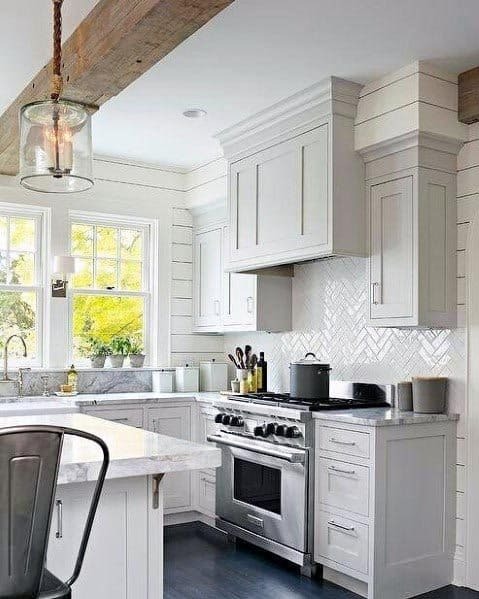 While a fine wooden floor and rich blue trim transforms one’s culinary abode into a welcoming rustic retreat, a well-matched white tiling scheme suggests an edgy uptown air. 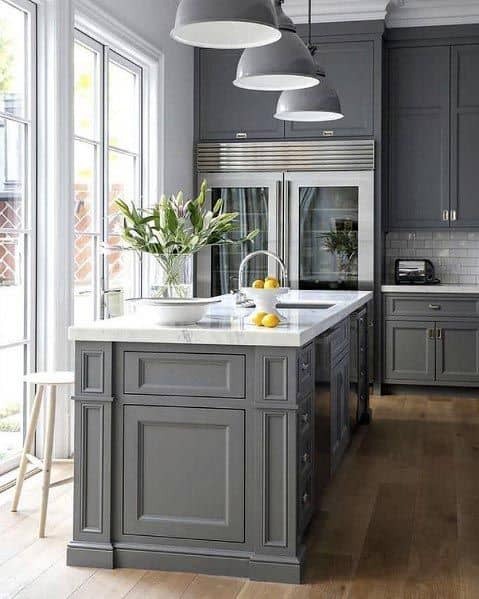 Grey is a color of intimacy and understated class, and while mystery may not immediately seem like a necessary quality in the kitchen, industry editorial spreads beg to differ. 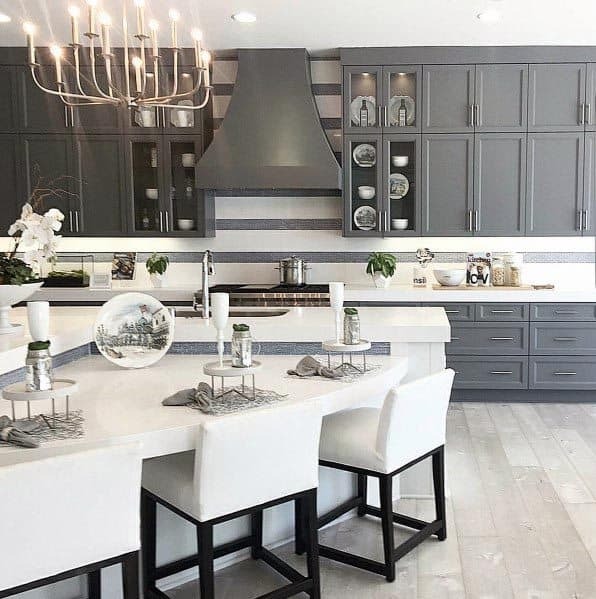 Entertaining guests will never look more cosmopolitan, and casual dinners with your loved ones will likewise feel like home has never been closer at hand. 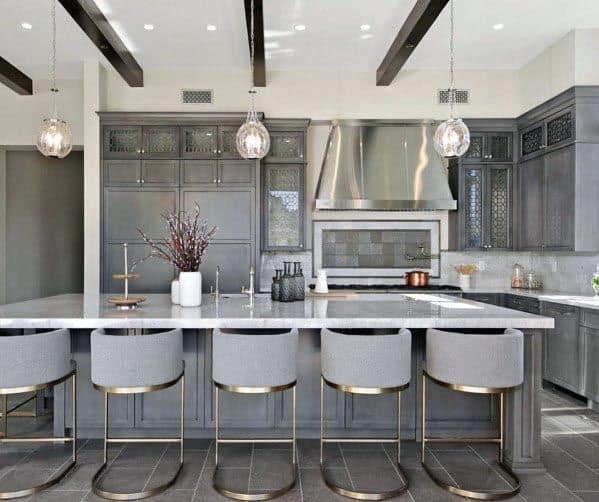 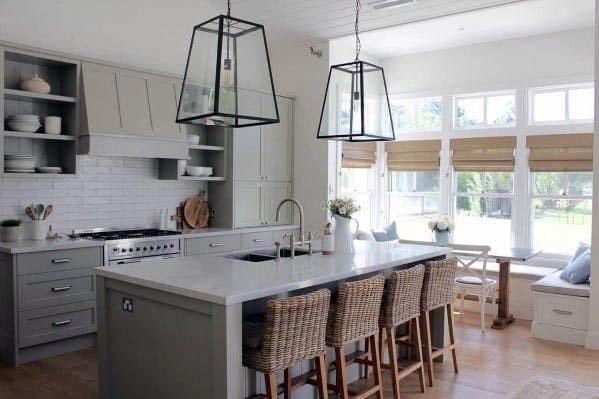 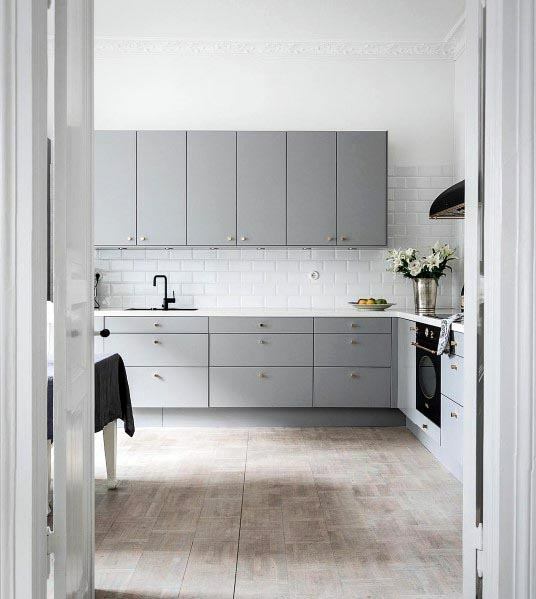 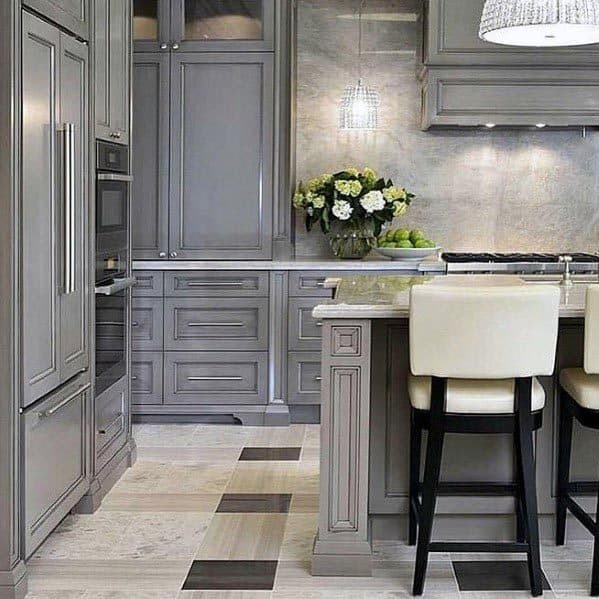 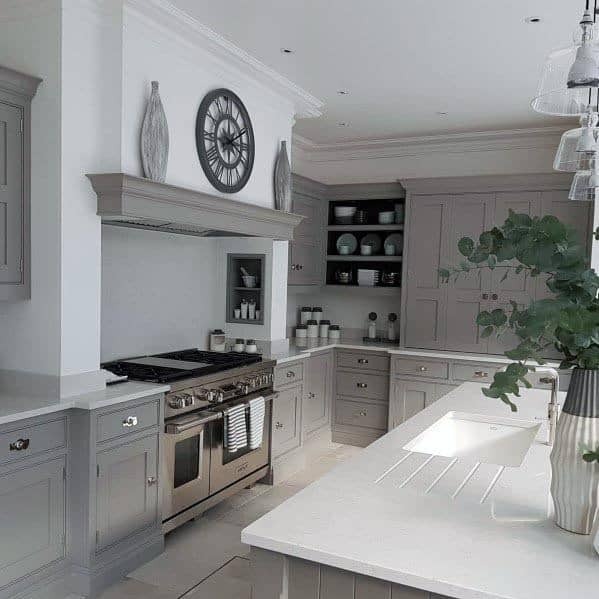 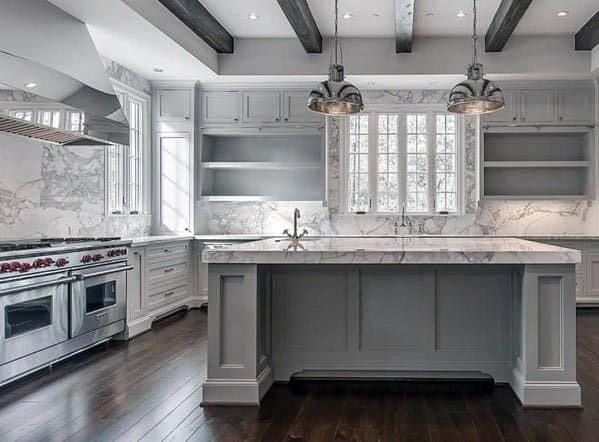 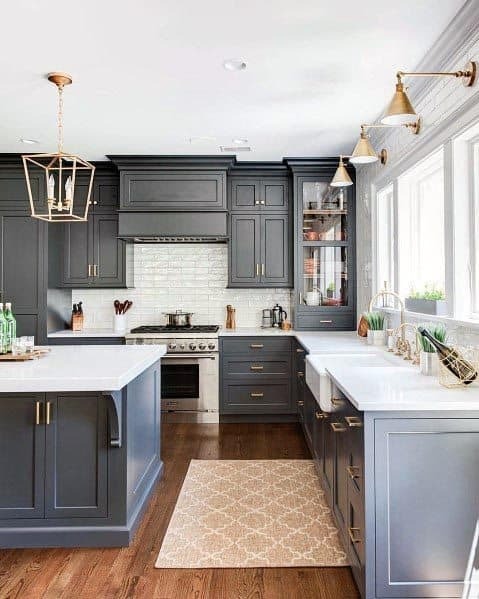 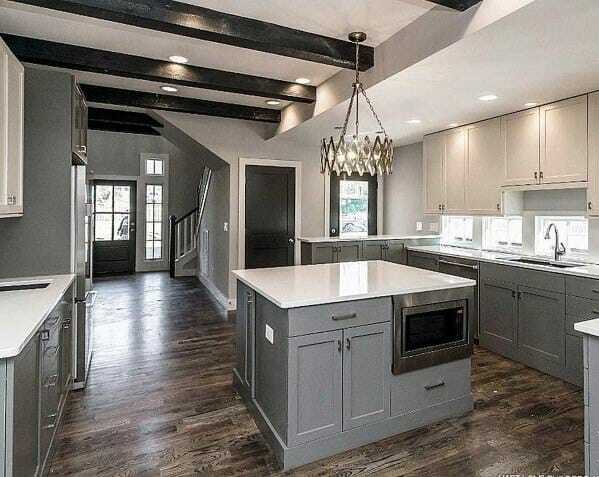 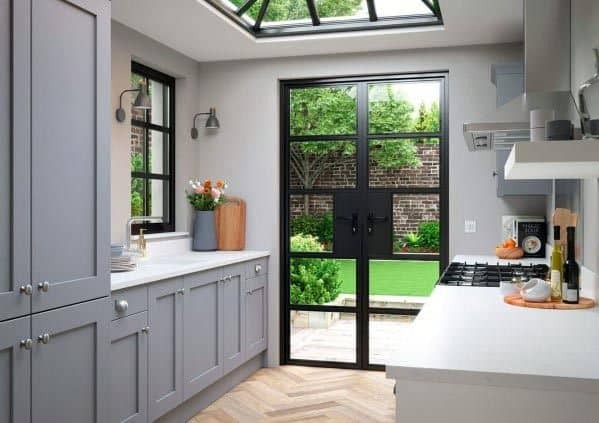 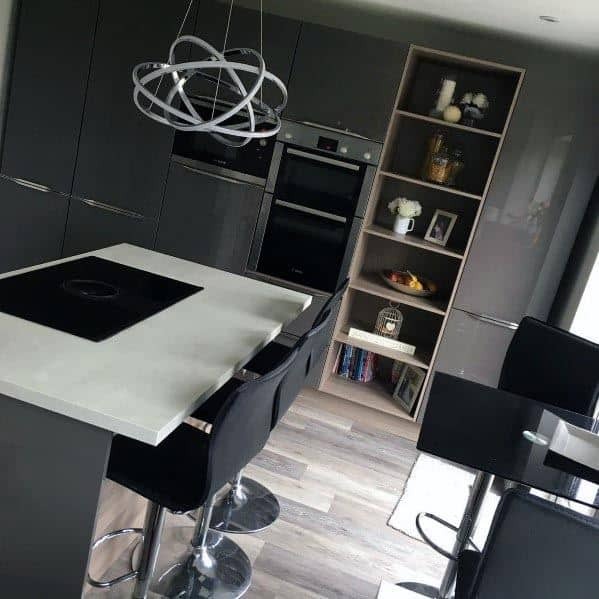 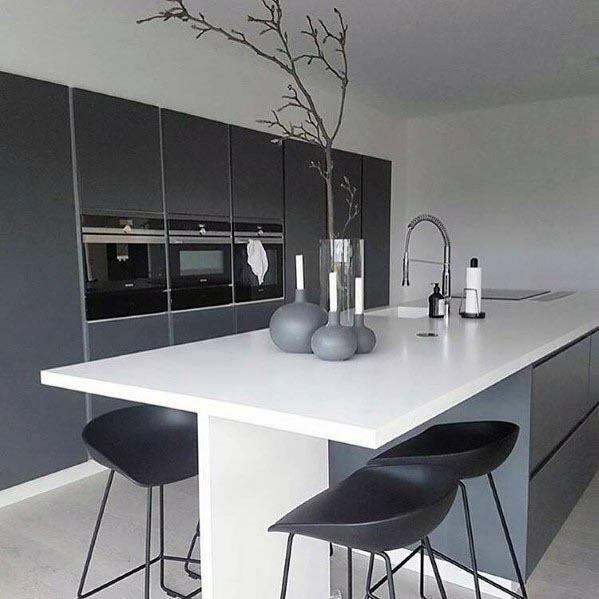 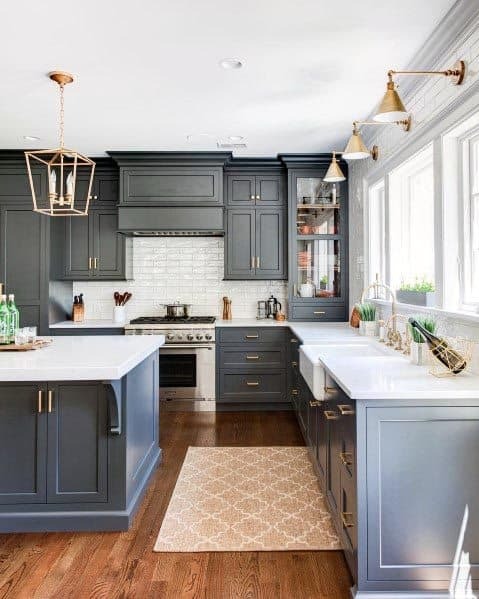 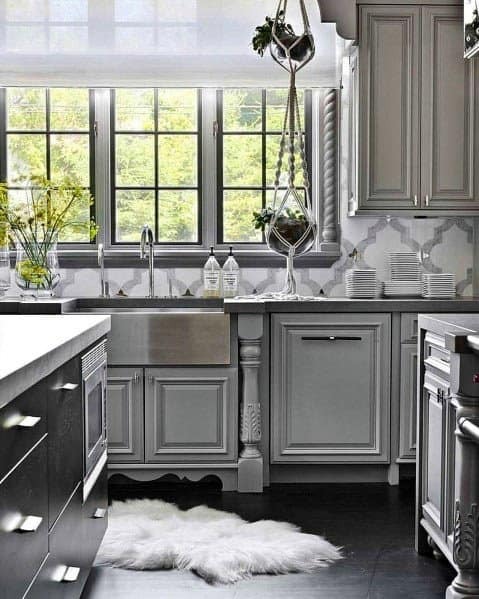 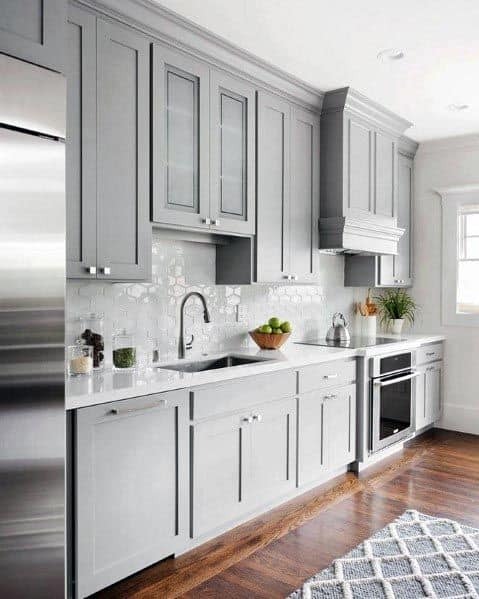 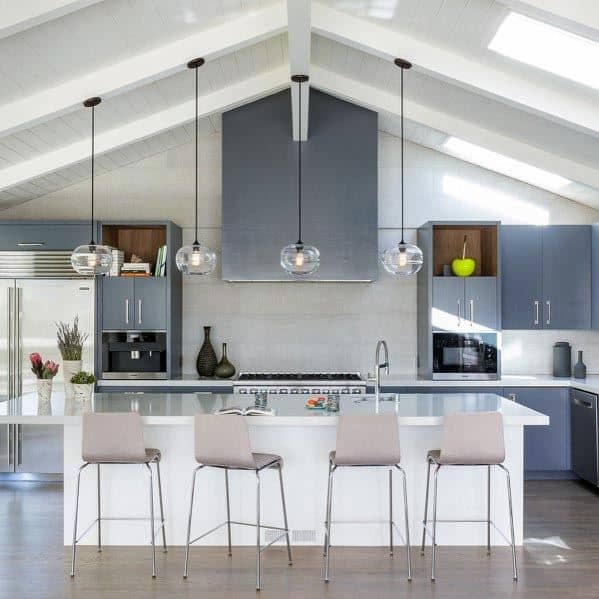 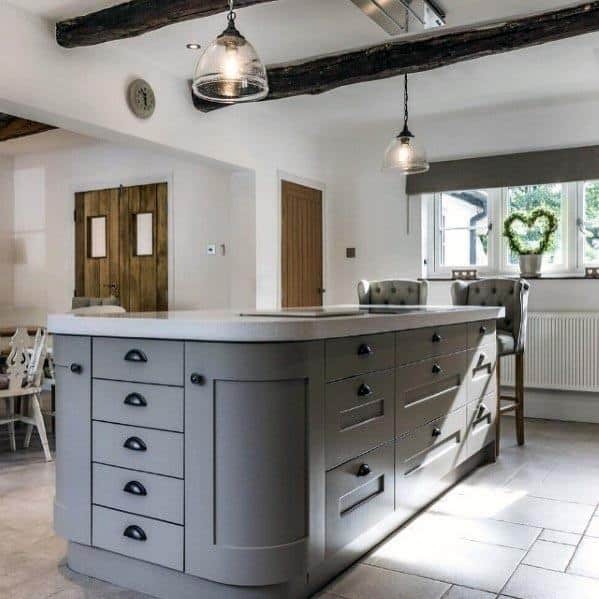 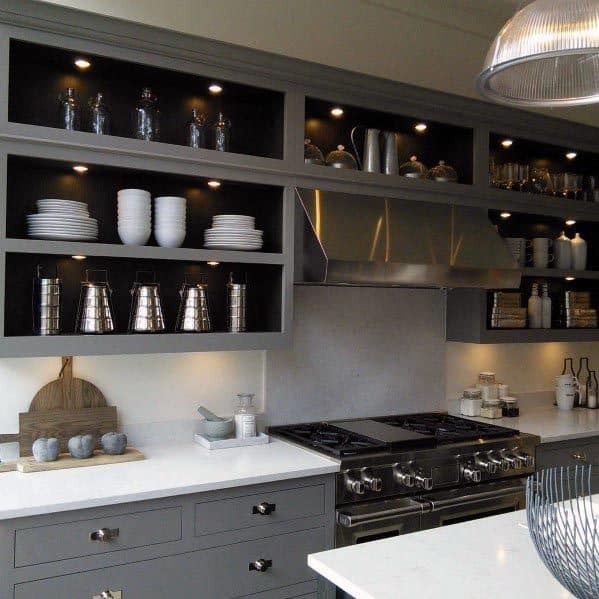 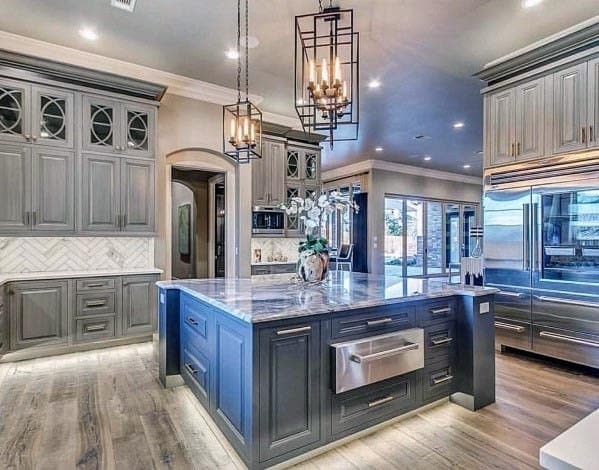 Like a fine fog or cloudy day that begs for a blanket and chair by the fire, these top 50 best grey kitchen ideas beckon the occupant with the promise of unpretentious comfort and equally unmatched style allure. 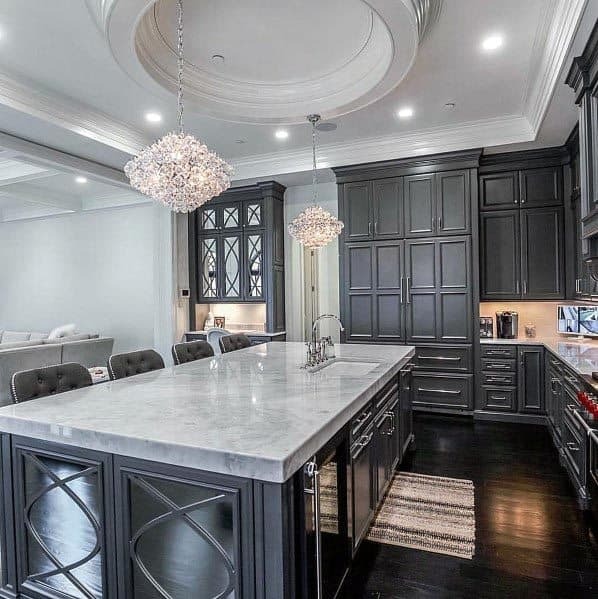 Here is where you can prepare your feast in peace, or simply enjoy a drink after a particularly grueling day. 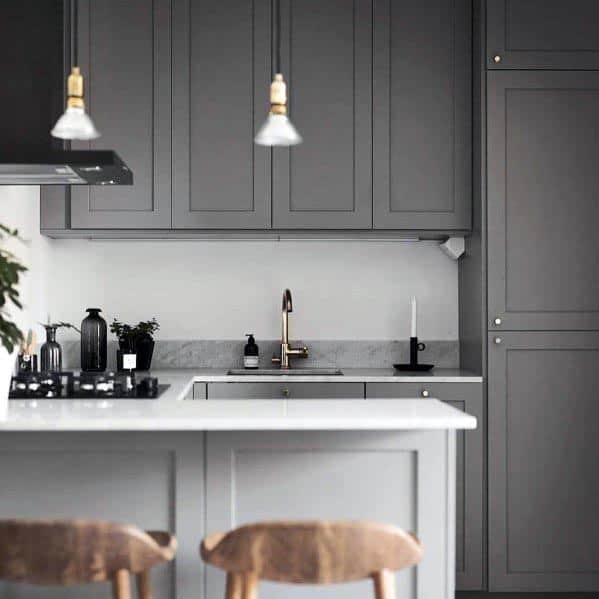 A kitchen should never feel off-limits or out of place, and today’s grey schemes prove that a man of taste is also a man of simple grace.